removing passenger side windshield wiper? Volvo S70 Made from 1998 to 2000, this sporty model replaced the 850 sedan and instantly became a hit. I attempted to remove the passenger side windshield wiper so I could replace it with a new one, but I could not figure out how to get the old one off. Its a 2000 S70 by the way. I see a tab, but it doesn't let the wiper blade come off. I have pictures to show what it looks like with and without the tab pushed in. With the tab pushed in, it still blocks the central part of the blade and it can't come off the hook. I tried much wiggling and finagling to no avail. It simply won't come off. Can somebody point out what I'm missing? 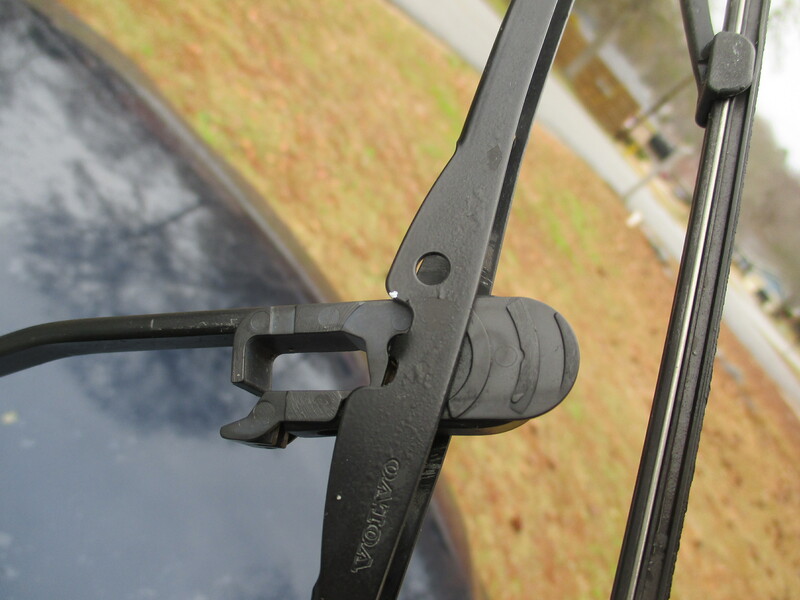 push the metal arm's U towards the wiper blade and it will separate from the retaining clip. you can then pop the clip off the pin on the wiper blade. Thank you so much! I finally got it off. American cars are definitely simpler to replace the wiper blades. 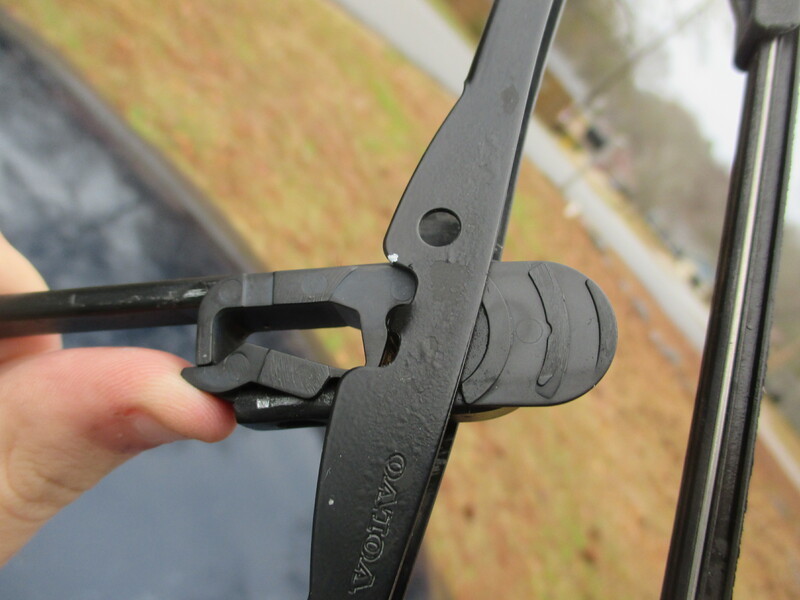 Quick Reply: removing passenger side windshield wiper?